South Korea is not only the land of kimchi (and tall hot men *ahem*), it is truly the land of skincare and beauty products. Today, I share with you my favourite Korean skincare brands and products! With prices starting from as low as a dollar, these products are accessible to literally everyone from young girls to mature ladies. Oh yes, the girls here wear make-up to school. That's how much emphasis they put on looking your best. And that could also be why Korean women have such good skin.. perhaps they start taking care of themselves from a young age? 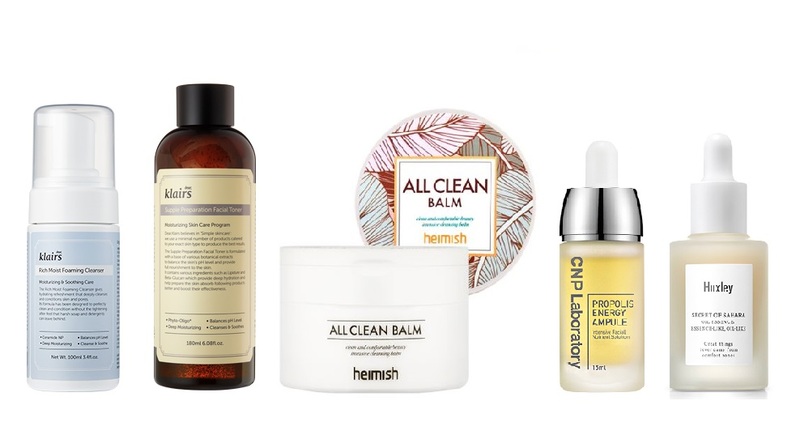 My skin experienced the change of seasons and I just want to share my top picks for skincare products to buy (and try) here in South Korea, especially if you have a drier skin type, prepping for winter (omg I can't believe winter is coming again soon before we know it) or are visiting during the drier months. Before this, I have been using the Bioderma Hydrabio H20 to remove make up. It does its job, does not dry my skin out but since I read that 'only oil can fish out oil' I wanted to try a oil-based remover to remove my make up AND help with my blackhead problems. After using it for a week, my blackheads have significantly lessened and I am never going back. If you're wondering what this balm is, it's has like a sorbet texture which once you scoop out enough for your face, massage in the same motion as cleansing your face, it dissolves and becomes a thick liquid/gel. Upon contact with water, it becomes more watery and that's when you rinse everything off. In terms of how much to use, it depends on how much make up you put. For a full face (eyeliner, mascara and all), I use about slightly less than the size of the top part of my pinkie finger. For days I don't have eye make up on, I use even lesser. 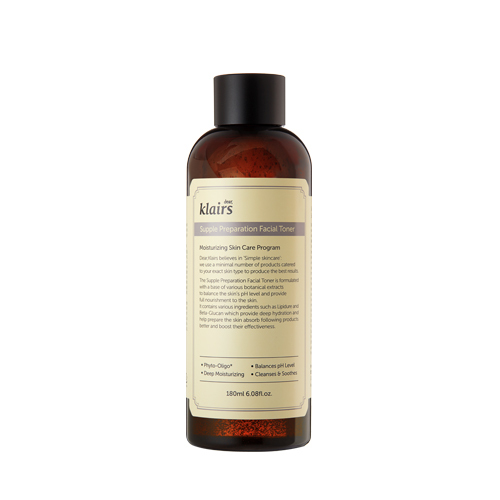 It's gentle (suitable for sensitive skin), really doesn't leave the dry tight skin feeling after cleansing (as its label claims). It is also rather affordable at approx. 12,500won. 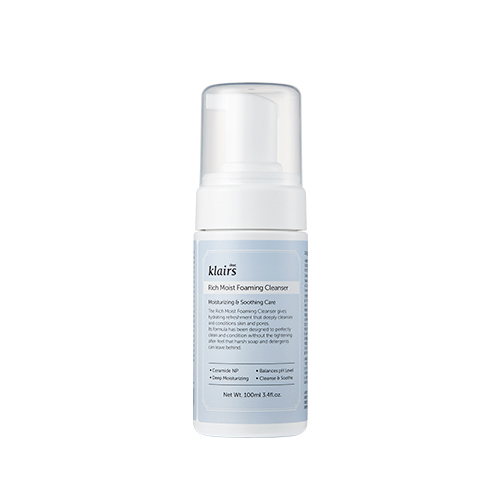 I recently tried the Korean 2-step cleansing by using the above Heimish All Clean Balm to remove make up and this cleanser as a second step. Tip: If you missed buying this in South Korea, you can buy it online at Wishtrend (link below) and they sometimes have set promos too! I first got the travel size (30ml) for this toner because I was looking for a new toner but did not want to commit to a full size bottle. After using it, it made my skin really soft, smooth and moisturised. You know how sometimes you run your fingers over your skin and you feel tiny bumps here and there? Those bumps disappeared! Travel size is approx. 3,000won if I remember correctly, full size is approx. 12,900won. 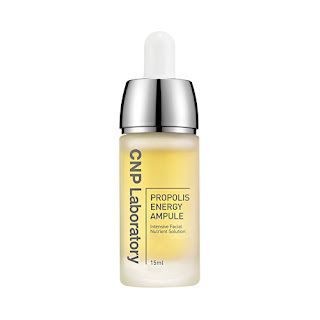 Ampules (or ampoules) are said to be 'stronger' than serum and I've been using it at night for the past 5 months. I bought it because it had raving reviews and my skin was was dying. 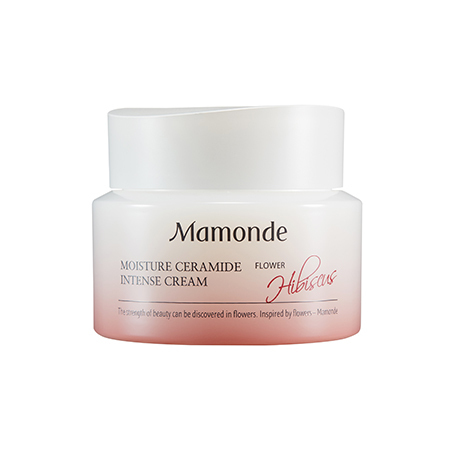 I used it together with the Mamonde Ceramide Intense Cream and my skin came back to live. Some might say the cost per ml is a bit steep, I use 3 to 4 drops a night and I think it can last about 5 to 6 months. Tip: Olive Young almost always have sale events and if you can, buy this during a sale! Okay so I haven't exactly started using my Huxley products because I bought the above set at LOHB at about $40 (worth $60) and I wanted to finish my CNP ampule first. The products in the set are all their star products (to be honest, everything they have are star products) but I picked the combination that had the bestest best review. And the smaller bottles would help me determine if they are good for my skin before I purchase the full size bottles. Oh you gotta love all these tiny bottles. They're so cute. Read more about their products here. Tip: LOHB occasionally has special sets (like the above) and sale events! I have always had whitehead problems, mostly at the sides of my nose and on my chin. After purchasing my first CosRX product (below), my cousin told me that CosRX is a really good brand because they don't do animal testing, don't use harmful chemicals etc and I was sold. So, after some research, I found this liquid and bought it. After 2 to 3 uses, my white heads have lessened by at least 50%. New whiteheads and blackheads form more slowly and sometimes, my whiteheads literally fall off if I accidentally scratch my chin or the sides of my nose. Tip: No tip here, if you see it, buy it cause of the 3 times OY was on sale, this product wasn't. As covered in my previous post here, this cream saved my skin and I just bought a new one during an OY sale recently. If you think this cream might be too intense for you, there is a light version as well. Tip: Olive Young almost always have sale events and if you can, buy this during a sale! Or check out current purchase events at Mamonde itself, they have 1+1 events all the time. This sunscreen is moisturizing and goes really well under make up, except if you use the above Mamonde Ceramide Intense Cream under it. Somehow it 'flaked' on me when I use them together. It could be that I didn't let my moisturizer dry properly before the sunscreen, or that the consistency of all of them together is too thick, or I did not exfoliate my skin properly. Ha, anyways, other than that, this sun cream goes well with any other moisturizers that I own. I have never thought I needed a primer. I know many people swear by it but I just wasn't one of them. My make up never caked or 'cracked' on me, everything's usually great until that time skin died on me, my make up couldn't stay properly, I knew I had to get a primer. The VDL moisturising primer really did it for me, smoothed out the pores on my nose and prevented caking on my smile lines and the area between my eyes. I used this during the drier months and recently I got the Lumilayer Primer Fresh to use in summer. They're both really great and I love them both. The Lumilayer Primer Fresh really helps to achieve the Korean fresh dewy look too. Tip: VDL outlets have 1+1 or 2+1 events sometimes so it's worth checking out! Prices differ with different retailers.